USPC would like to highlight the National Youth Board Members for the current term. Today we would like to introduce Lily Huval. Lily is an incoming member for 2018 National Youth Board, where she holds the position of Treasurer as well as sits on the Upper Level and the Marketing Committees. 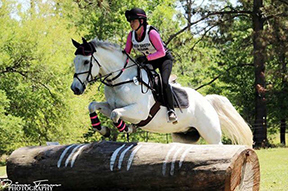 Lily is a C-3 Traditional and H-B member of Plantation’s Pride Pony Club in the Deep South Region. 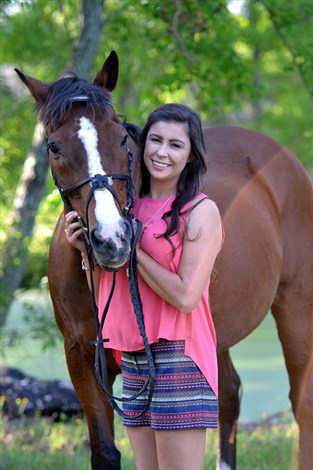 She is a junior at the University of Louisiana at Lafayette majoring in Marketing and minoring in Management. She teaches mounted and unmounted lessons on a regular basis at her trainer/DC’s barn, as well as in Pony Club meetings. Lily Events in Area V and placed third at the 2014 AEC’s on her trainer’s beloved horse, Archie. Her future plans in Pony Club include achieving her B certification in fall of 2018, applying for the Visiting Instruction Program, and eventually becoming a National Examiner. Plantation’s Pride is so very proud of their Lily Longstocking Huval ..
Lily epitomizes all what Pony Club represents and I’m sure she’ll be involved for years to come! !